All my life I’ve had dogs! Despite this passion for the German Shepherd Dog breed, come from very far back, I just had my first specimen in 1998. I was still single and I managed to convince my parents to let me have a dog that I was offered by a classmate (Alex). 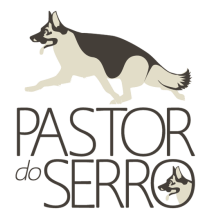 After a few years I was working for a company and we were doing a service in Aerodrome Maneuver 1, of the Portuguese Air Force, in Maceda, where the PoAF has its K9 center and they gave me a little female (Becas), that I offered to Raquel (my girlfriend then ... and now wife). Alex and Becas still lived some years together with me in my parents' house, but by then breeding was not a goal, but the love for this breed, which somehow always existed, intensified with these magnificent dogs. In 2006, already living in our current home, we decided to get a dog ... Of course, the choice of breed was never in question ... I bought books, researched on the Internet, informed me intensively about the characteristics, history and everything with respect to this magnificent breed and ended up buying Timo da SocPort ... Tobias, for friends! And it is with this preface that truly begins our story. Over the past years, we have participated in Shows (in Portugal, Spain and Germany) and also Work trials, have been present at seminars in these two areas, studied the various bloodlines through presences in shows, research in books and on the Internet. 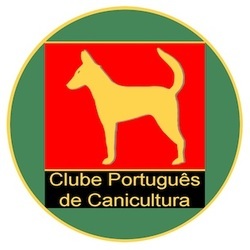 Our goal is to use for breeding specimens that respect, not only the strict criteria and rules for creating imposed by German Shepherd Club of Portugal (PACP) and as well as the ones imposed by the German SV, particularly with regard to hip and elbow dysplasia, as well as using only dogs with work trials (SchH or IPO). The goal is not achieved by producing litters in series, but only to breed when we feel that we have all the conditions for a litter of excellence. For that we breed using the TOP males, from the best bloodlines in Germany. We are full members of PACP and SV German! 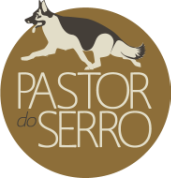 Once more, welcome to Pastor do Serro! Enjoy our website and get to know us a little better.